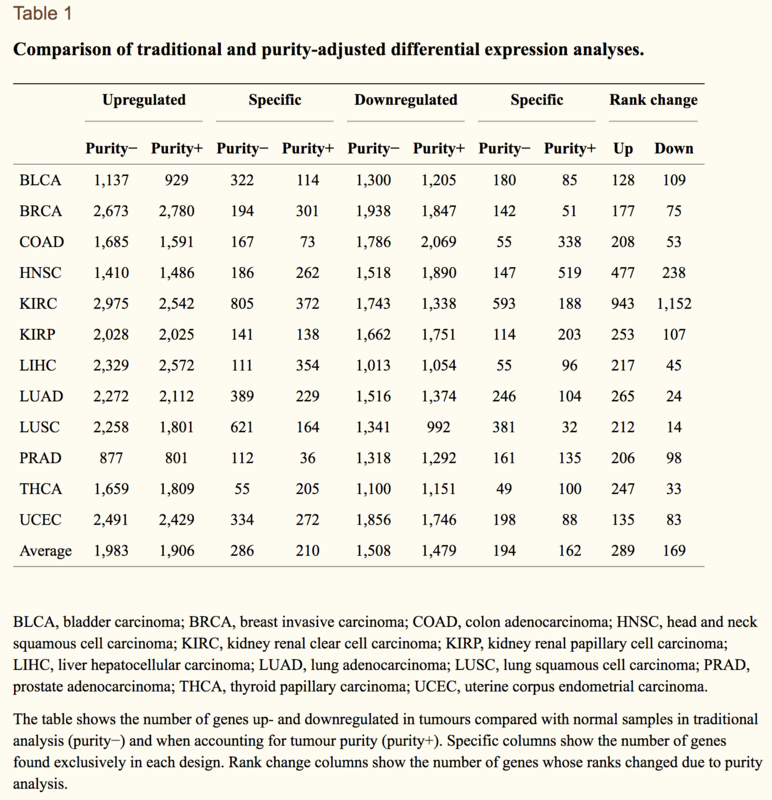 IHC, as estimated by image analysis of haematoxylin and eosin stain slides produced by the Nationwide Children’s Hospital Biospecimen Core Resource. 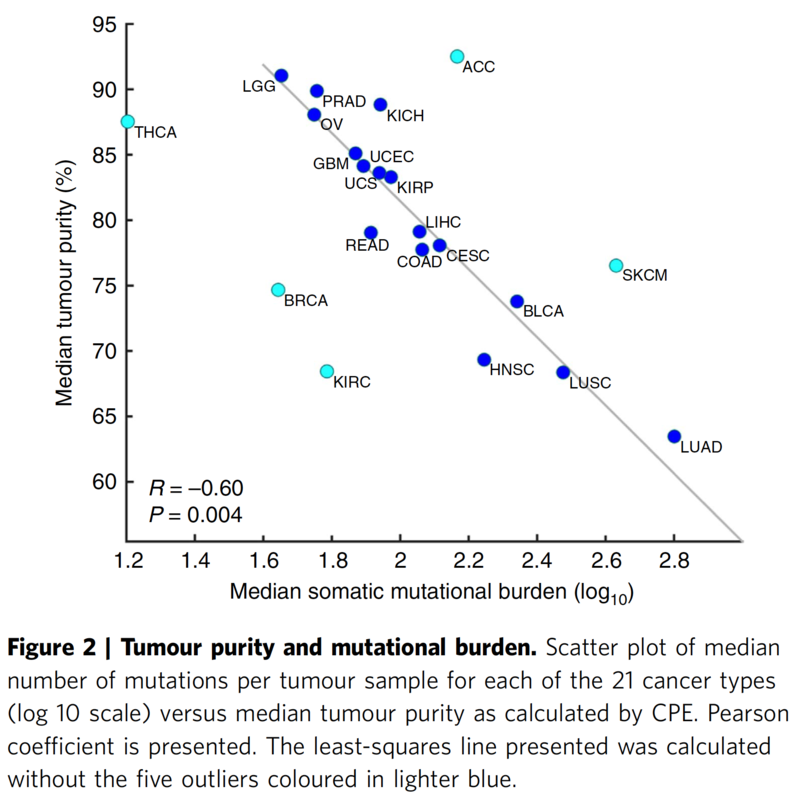 结果文件都是在：Tumor purity estimates for TCGA samples. 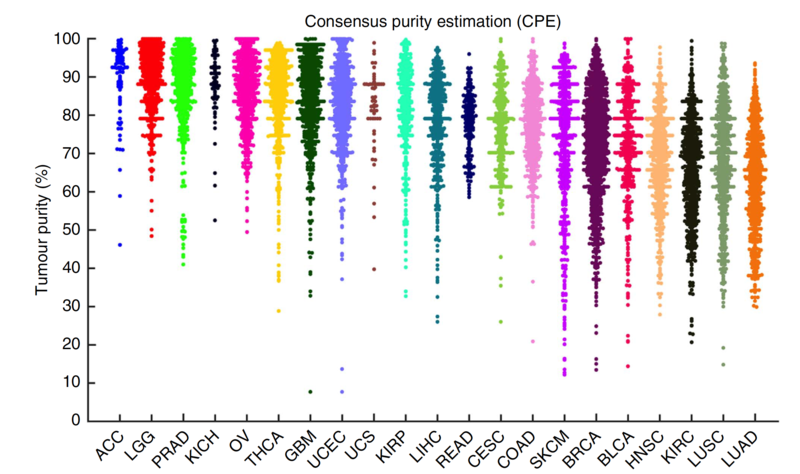 Tumor purity estimates according to four methods and the consensus method for all TCGA samples with available data. 这里的归一化很简单， CPE is the median purity level after normalizing levels from all methods to give them equal means and s.d.’s (75.3±18.9%).